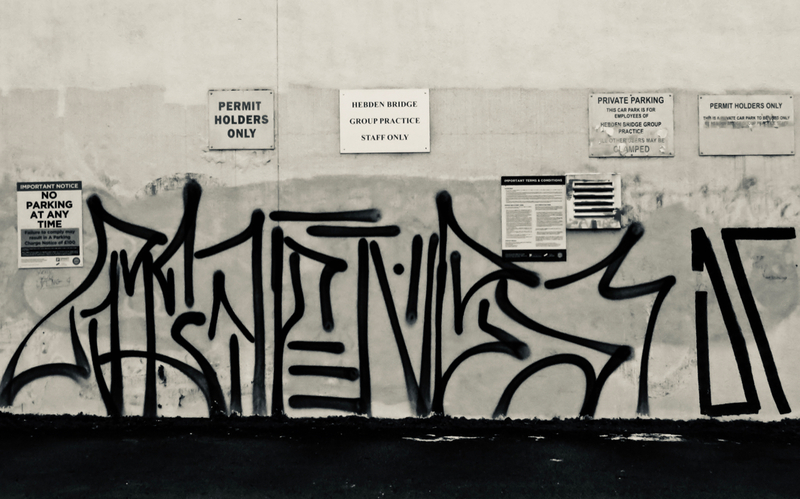 Which is less savoury — the graffiti, or the notices which pepper this wall and try to keep the space private and enclosed? At weekends, at least, the town could do with the parking spaces. Eventually someone will come and paint over the street art, but the warning signs will remain.